For a long time, my land investing business followed a pretty simple model that worked extremely well about 80% of the time. In a lot of cases, the process worked perfectly. Using this strategy, I was able to buy a lot of properties and sell them relatively quickly for a pretty substantial profit. By going through these motions, I was able to squeeze a lot of free equity out of each property. In the best case scenario, I could move through the entire process in just a few weeks. It was surprisingly easy for me to find cheap properties and buy them free and clear with the cash I had on hand – but the real challenge was getting these properties sold quickly. After my first dozen deals or so, I started to learn that some properties were MUCH harder to sell than others and I didn't always have the foresight to know when I'd have the misfortune of dealing with the inconvenience of a property that just wouldn't sell. 1. I had a limited supply of cash to work with. Let's be honest, even if I knew how to get every property on earth for 10% of market value – I didn't have enough money to buy them all. At some point, I had to be smart about which properties I would pour my limited resources into. 2. It was never easy to predict when a property would sell. One of the unpredictable elements of land investing is that some properties will sell very quickly, and some properties will sit on the market for months on end (and it's usually ISN'T obvious what you'll be dealing with until you start the marketing process and try to find a buyer). Of course, there are a few indications that can give off some warning signs, but when you're working in an unfamiliar territory (like I was most of the time), this can be a tough nut to crack. I kept seeing deal after deal hit my desk – and they were great deals – but they just weren't great enough for me to justify investing my own money. Sure, 40% – 50% of market value is great for the average investor, but if I couldn't get a property for a next-to-nothing price tag, they just weren't “risk-free” enough for me to tie up my limited funds! It was about this time that I started exploring the idea of assigning contracts (i.e. – wholesaling, arbitrage, etc.). Rather than signing a purchase agreement and buying each property outright, there was an ingenious way of signing a purchase agreement and then selling that contract to another investor so that THEY could buy it outright – with me just acting as a middleman in the deal. In some ways, assigning a contract wasn't all that different from acting as a realtor, because I would be wearing a lot of the same hats and doing some of the same things a realtor would do for their client. The difference was – I had a signed purchase agreement between myself and the seller, which gave me an equitable interest in the property. This contract was like a paper asset, which I could sell to a third-party and get paid an “assignment fee” without ever owning the property myself. I didn't need to put up any of my own cash. I didn't need to shoulder any liability as a property owner. I didn't need to stress out if I couldn't find a buyer immediately (because once the trial period expired, I was free to walk away from the deal). As I found myself increasingly strapped for cash (all while the opportunities continued to pour in faster than I could handle), this whole “Assignment” business sounded like the PERFECT solution to my problem. 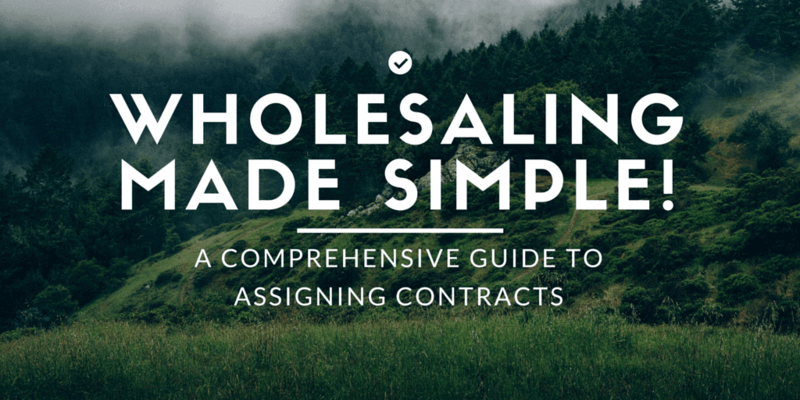 Now, the idea of assigning contracts (aka – “wholesaling”) always sounds great on paper – but let me tell you, I struggled for YEARS to understand the mechanics of how this process really works. What kind of Purchase Agreement was I supposed to use? What kind of “Assignment Agreement” needed to be signed? How was I supposed to get the deal closed? Where could I find the right title company or closing attorney? What if the buyer went behind my back and talked to the Seller? What if I couldn't find a buyer before the original contract expired? …I got so many different opinions from so many different people on how the process was supposed to work. All the advice I saw on the various real estate forums and blogs would constantly contradict each other – which made it even harder for me to nail down the correct way to move through this process. Since I struggled with it for such a long time, I'm going to save you a ton of hassle and confusion by laying it all out for you below. Wholesaling is (in theory) a pretty simple concept. 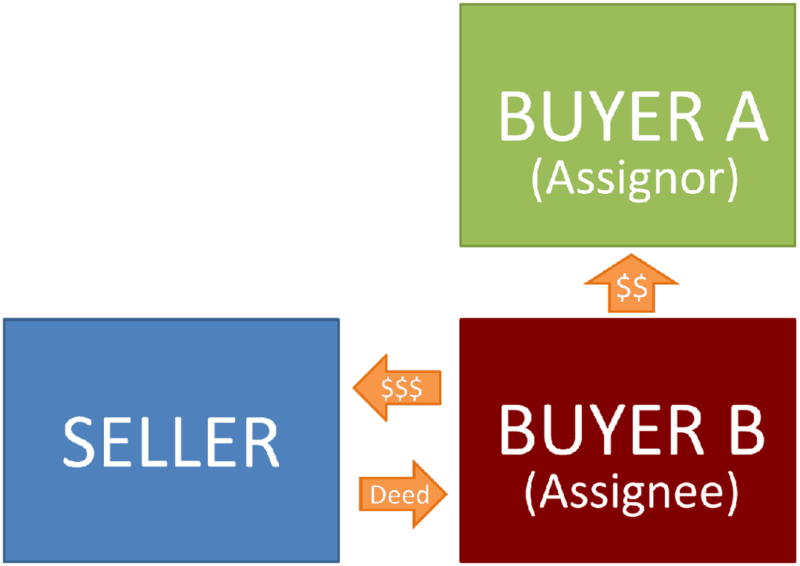 When an investor (“Buyer A”) finds a great real estate deal and signs a Purchase Agreement with the Seller, they have the option (if their Purchase Agreement contains the right language) to “assign” (aka – sell) this piece of paper to another investor (“Buyer B”). When Buyer A sells/assigns the Purchase Agreement to Buyer B, they do it with a simple, 1-page document called an “Assignment Agreement”. This document legally transfers all of Buyer A's rights to Buyer B. It also releases Buyer A (“Assignor”) from any liability or obligation and substitutes Buyer B (“Assignee”) in their place. As you can see, the Wholesaler (i.e. – You/Buyer A/Assignor) is acting as the “middle man”, getting paid in the form of an “Assignment Fee” from the Outside Investor (i.e. – Buyer B/Assignee). In the process I follow (which I'm about to explain further), a portion of this payment is made when the Assignment Agreement is signed by both parties (Stage 3 – above) and the remainder is paid when the deal is closed and the property officially changes hands (Stage 4 – above). Most of these explanations only got me about 80% of the way to the finish line. They never closed the loop on how to get through the closing process, abide by the law, get paid AND not be a scumbag along the way. The process outlined below seems to check all of these boxes and get the job done. When you start making offers to these motivated sellers, your offer needs to be accompanied by a thorough explanation of what you intend to do. Wholesaling is a very different type of transaction than buying a property outright. The Seller needs to know what you're planning to do (because by itself, your Purchase Agreement doesn't imply what is actually going to happen). If you don't explain your intentions to the Seller, they're going to get confused (and probably upset at you) because when you fail to properly set a person's expectations, things can get ugly. You will communicate with the Seller throughout the process (they won't ever be left in the dark). Given that a wholesale transaction involves a couple of additional steps along the way, it might be tempting for you to over-complicate the story as you're trying to explain things to the Seller. It's important to explain all the basics, but you'll want to avoid bombarding them with information that they don't need to know. You don't want to confuse the seller because rather than being made to feel stupid, most people will just say “No” to save their pride (even if this arrangement really is in their best interests). “Thanks for contacting us regarding your property! After reviewing the specific details of your property, we would be interested in marketing your property to our nationwide network of real estate investors. Since you're not the actual end-buyer, it's not imperative that you learn every intricate detail about the property you have under contract. However, you do need to know the basic, relevant details about it, because you're going to market this thing to the public, to your buyers list (if you have one) and to anyone else who may be a potential cash buyer. The goal of this document isn't to inform them of every last detail about the property. The point is to tell them just enough to make it obvious that they're looking at a deal with some great potential. That being said, if I do find any big problems in my due diligence process, I'll either walk away from the deal (if I don't think I'll be able to sell it for a profit) or at the very least, I'll be sure to disclose any “Other Issues” that I'm aware of at the bottom of the report. When you start getting calls and emails from interested buyers, you're likely to find that there are A LOT of tire-kickers out there. People will get your hopes up, only to go AWOL when it's time to sign on the dotted line. People are extremely fickle, so if someone wants you to take their offer seriously, they're gonna have to agree to it in writing AND put their money where their mouth is. 1. Please sign the attached Assignment Agreement and fax or email it back to me by 5:00pm today. 2. Please send us a $______ deposit by 5:00pm today via wire transfer. Note: The property will not be reserved until both items are received. Once both items are received, the property will be reserved in your name and we will contact <<Title Company Name & Location>> to begin the closing process. They will contact you in the next few days and will send you the closing documents and preliminary title report for your review and approval. When it comes to the deposit, I usually ask for anywhere from $1,000 (for the cheaper deals of $10,000 and below) to $3,000 (for anything $30,000 and up). For anything in between, I'll ask for approximately 10% of the total purchase price. When you collect these funds from the buyer, don't run out and spend this money just yet. You need to wait until the transaction is closed and the property has been transferred from the seller to your buyer. Assignee has the right to a full refund of the Down Payment, upon demand, if any action or inaction of either Buyer/Assignor or Seller prevents the closing of the sale of Property according to the terms of the Purchase Agreement. Remember, even though you have this money in your bank account, you're still “on the hook” to pay it back until the deal is done, so hang onto it until you've crossed the finish line! You might find that some people (buyers, sellers, closing agents, etc.) tend to overthink this document, simply because they don't have experience with assignments and they aren't familiar with how they work. As I explained above, this is a relatively simple document that takes your rights as the original “Buyer” of the property and transfers them to a third-party (i.e. – the new person or entity that has the cash and desire to jump into your shoes and become the actual end buyer of the property). As you can see – the explanation is geared towards the wholesaler (the middle man) in the deal, but it should suffice to help anyone understand what's going on in this type of transaction. This should be everything they need to order title insurance, prepare the necessary paperwork for all parties to sign and then move forward with closing the transaction. Given that this is a cash deal (with no mortgages or outside financing involved), this shouldn't be a terribly complicated transaction for your closing agent to pull off. That being said – I should warn you that not all closing agents are created equal. When I first started trying to assign contracts, I found that some title companies have no idea what they're doing (they acted like I was asking them to move heaven and earth or do something illegal). The title companies in my area seem to be particularly incompetent with these deals – and it threw a huge wrench in my progress for a long time. If you run into this dilemma, just keep calling around to various title companies or closing attorneys in your area until you find someone who understands what you're talking about. Don't let their ignorance act as an obstacle to the evolution of your business. When I look back on all the properties I've listed and sold on my own behalf, most of them sold in about 6 months or less (assuming the properties were desirable, usable, priced right and I was marketing them consistently). My assumptions about the property's market value were WAY off (and I didn't have the kind of profit margin I thought I would). Something was fundamentally wrong with the property (e.g. – it didn't perc, it wasn't buildable, the location was terrible, etc). As you can imagine – neither of these things are ever a fun realization to have, but whatever the case may have been, I found that when a property sat on the market for more than 6 months and the sale still hadn't occurred, something big needed to change. By the time I got to this point with one of my properties, it had become clear that if I could do it all over again, I wouldn't have sunk my own money into this property. It would have been far better for me to simply assign the Purchase Agreement (if I even could) rather than buying it outright. As you can imagine, if there's ever something wrong with a property – it's better for this problem to be in the Seller's lap than mine. When I'm not very confident about the property's true market value. There are potential problems with the property that I can't get resolved. I don't have the money to invest myself and buy it outright. The Seller isn't willing to lower their asking price to my liking (but there's still enough meat on the bone to make a hefty profit). The property isn't local and I don't want to take on the liability of ownership. It's important to remember that even if you do have money to buy a property, it doesn't necessarily mean you should. There are all kinds of menacing issues that can come up with any property – and in some cases, these issues can become MAJOR obstacles to getting it sold. For many investors, this kind of uncertainty is more than enough reason for them to stick to wholesaling almost exclusively. You won't be able to make any improvements to the property (because you don't own it and it's not yours to improve). You won't have the freedom of offering seller financing (because you're not the Seller and it's not yours to finance). You'll have a much shorter window of time to get the deal done (because your contract won't last forever). The closing process will require more attention to detail than the simplicity of a cash closing (which can be done in-house if needed). Your buyer MUST have the ability to pay all-cash (because most mortgage lenders aren't willing to deal with the minor complexities of an assigned contract). It's also worth noting that some states (like Ohio, for instance) have laws and statutes that essentially make it illegal to market a property you don't own in your name. It's considered to be the “brokering of real estate” – and if you don't have a real estate license in that state, you could get fined and/or charged with a misdemeanor for working outside of this box. When you decide to buy a property outright and flip it (i.e. – the old-fashioned way), there are a lot of freedoms you'll have that simply aren't available when you choose to assign the contract. So before you swear off buying properties outright, remember that every deal has a number of considerations you need to think about. Depending on your end goals, these issues may or may not make the property an ideal fit for wholesaling. I'll be completely honest – at the time of this writing, I still don't consider myself an “expert” in wholesaling (because I've only been through the process a handful of times myself). On the same coin, I can say that I've been through enough wholesale deals to know that this process works. Wholesaling is a great way to make money in real estate, but it's still not my primary technique for handling most deals. My experience with wholesaling hasn't reached the same comfort level that I have with simply buying properties for cash. That being said, wholesaling is an extremely helpful sidearm to have at my disposal when I come across deals that don't fit perfectly inside the “cookie-cutter mold” that I like to see (and as you can probably imagine, this happens pretty frequently). 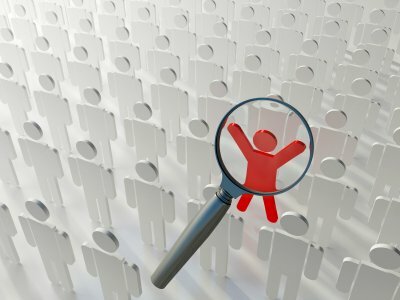 My goal is to get a lot more experience with this technique because there are PLENTY of times when wholesaling would have been a much better fit for some of the deals I've pursued in the past. Want Access to My Wholesaling Toolbox? Like I mentioned earlier, I spent YEARS of my life trying to nail down the right process and documentation for wholesaling real estate. 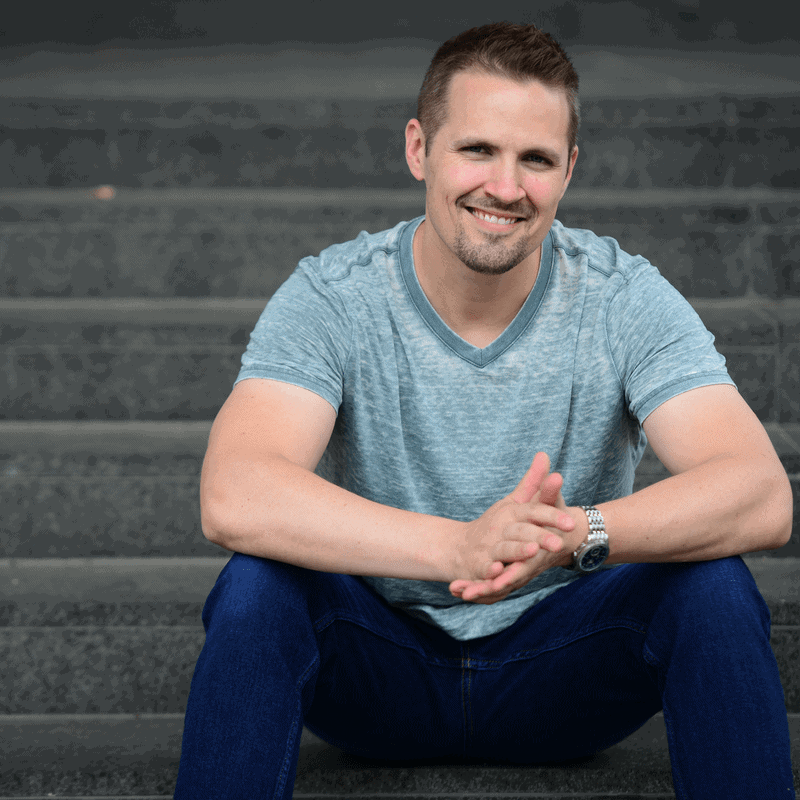 The ability to pull some huge profits out of properties I didn't even own was a major revelation – and I think it could be a pretty big deal for you too. A copy of my Assignment Agreement template. A copy of my Purchase Agreement (which is fully assignable). A copy of my Property Prospectus Report template. A copy of my Wholesaling Checklist (to walk you through each step of the process). Three detailed Video Tutorials explaining how to use each document. Again, there's no magic to the documents I use. You can easily call up your local attorney and I'm sure they'd be happy to charge you $600/hour to give you a similar set of documents and instructions. Go ahead and call them… I'll wait. My goal was to AVOID confusing Buyers, Sellers and Closing Agents about how this process works and to give myself the freedom I needed to feel comfortable doing these types of transactions. Over time, I've found that these attributes can go a long way in getting these deals done. If you’re serious about adding wholesaling to your growing repertoire of real estate investing strategies – the opportunity is sitting right in front of you. When you consider how many more deals you'll be able to do, the risk you'll be able to avoid, and amount of money you'll be able to make here (all while investing none of your own cash), this information is easily worth 50x than the price tag I'm putting on it – I'm not exaggerating. Note: When you sign up as a REtipster Email Subscriber, I’ll send you an instant $20 off “Discount Code” for this item, and if you enroll in the REtipster Club, you'll get access to this item for FREE. There's no pressure – just want to make sure you're aware. Woh Brother! Stepping it up a notch I see. Excellent work. I get questions about assigning contracts all the time and you really did a great job explaining it all. Thanks Joe. I don’t do a lot of stuff in Florida these days, but if I do come across anything of note in your area – I’ll definitely let you know! And btw – thanks for all of your help in getting this process nailed down once and for all. I never would’ve been able to define it this well if we hadn’t been able to bounce so many ideas off each other over the years. Nice post! Is the wholesaling package applicable for houses too, or just raw land? Hey Brian! Great question. Yes – this works with houses too… I just use it for the purpose of land, but the documents are pretty versatile. This is a great guide for people needing to understand wholesaling and if it’s what they need to do, or people who are wanting to get started in wholesaling. Thanks so much for sharing! Thanks for the comment Jordan! I’m glad you found this guide helpful! I knew you’d have it, and here it is! I’m on disability, so my available cash is pretty limited – but I’ve managed to find some pretty sweet deals – I just needed to know the process for passing the deal along and making some money in the process. This is just what I need to get started so I can get off of disability and once again be putting into the system, rather than taking out of it. Thank you so much. This is my life-changer right here. Hey Seth! Do you ever wholesale houses? Hi Andru! I don’t do a ton of work with houses these days, so no – I can’t say I’m an expert in this realm. Thanks for asking though! Seth, I’m not sure if I feel confident buying your wholesaling contract package, since you only do wholesale land deals? What are your thoughts on that? Would you feel confident enough that your wholesale contract package would be ok for wholesaling Single family homes? You’re right, there are a few more steps involved with wholesaling houses that aren’t necessary with land (primarly, with housing inspections and such), but that doesn’t necessarily have a huge effect on the documents needed to close the deal. I can’t say that these forms were designed for the specific purpose of wholesaling houses, but I have used them to wholesale houses in the past… so I know they can do the job. It’s up to you though! Thanks Juan, glad you enjoyed it! Is the refundable deposit the initial assignment fee. Hi Chris, in some cases it can be – but it usually just accounts for a portion of the overall assignment fee. You get the deposit upfront as their commitment, and then the remaining balance of the assignment fee would be paid at the actual closing of the sale. Loved the article Seth! What a fantastic job on bringing what most believe to me a complex arrangement into a rather simple process. Kudos brother. I look forward to seeing what your Wholesale Package has to offer. Thanks for sharing your thanks Kent – I’ll certainly take that into consideration. Now do I get the motivated seller to sign Affidavit and Memorandum of Purchase and Sale agreement in addition to purchase and sale agreement? or is this separate paperwork filed with the county records office? Do I have to personally go to the county record to file this myself? How does that process work? I heard this was supposed to be the “cloud” on the title and if I do happen to “file” it and the closing process starts in the title company, how does it get extinguished (the affidavit and memorandum)? If you did the memorandum, it would be a separate document in addition to your Purchase and Sale Agreement. You would also have to get it notarized in order for it to be recorded (it’s kind of a hassle, which is why some don’t bother with it). You would typically take it to the county yourself, or mail it to the County Recorder along with a check to pay for the recording fee. Again, if you do go through these options, it will cloud the title for however long the date range is listed on the memorandum. i.e. – if the memorandum states that the Purchase and Sale Agreement expires on X date (6 months from today), that cloud will stay on the title for 6 months. I’m 15 right now and can’t buy your package right now but by next year or the year after that when I’m 17 I’ll buy it For sure, so with that I was wondering how long is the package going to be available? And did you say that the documents will work if you want to wholesale houses or is it only with like land property? And thank you for the great info! Hey Raja – thanks for your interest! The package should be available for the foreseeable future – I have no plans to take it down, so don’t sweat it! These documents were designed to work with land, but they can be used for houses too. There may be some items pertaining to houses that aren’t included in these documents – but they can still check the box in most instances (we tried to make them as plyable as possible when we created them). Will the contract contain laws pertaining to investor’s Real estate laws, policy, and guidelines? Hello Seth if I buy this package could all the information be downloaded for me to use??? Thank you for a response! !!!! Hi James – you bet! If you buy the package, you’ll get a download link where you can save all of the templates to your computer. If you have any questions or issues with it, just let me know. Again, I haven’t dealt with this specific issue (so there may be some nuance I’m missing), but maybe it’s just a frank conversation you need to have with the seller. Help them understand that it’s in their best interests to allow you to do this, as it will save them a lot of time and hassle. When trying to get a property under contract, do you think working with the sellers realtor is a idea or should I just go directly through the seller? Hi Brooklynn – it’s not necessarily a bad idea (if you have no idea what you’re doing, they might even help). The downside when a realtor is involved, is that IF you’re trying to buy the property for pennies on the dollar, the realtor will probably step in and try to keep this form happening (because most realtors aren’t used to seeing properties sell for as cheap as we want to get them). This doesn’t always happen, but it’s usually what I see transpire. I’m just getting started. Self taught, self starter looking for all the knowledge and help that anyone could or would afford me. The best of life is paid forward, although your insights are seemingly invaluable I’m missing some major pieces. Please get back to me as filling in those pieces could prove worth while for all of us. Thank you for this, the already given, and the many more considerations yet to be shared. Hi Anthony, thanks! I’m glad you’re getting something out of this. What questions did you still need answered? I recently attended a 3-day seminar about real estate. I just started my steps to doing wholesale, but I have a question. 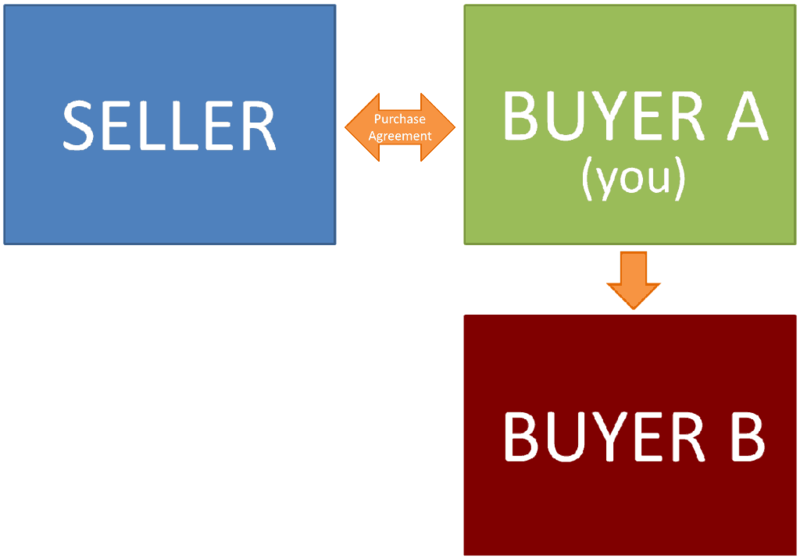 How does the process work with finding buyer B or am I suppose to search for buyer B and if so where do I search? Also if possible I would love to get the templates for the contract, and cover letter, and closing documents e-mailed to me, please! Hi Rose – to find your end buyer, you would most likely look in all the same places you would normally look if you owned the property and were selling it for sale by owner… the only difference is, you’re just assigning the contract to that end buyer (rather than selling it on your own behalf). Fantastic article Seth! Thank you for writing this. Quick question regarding the letter to the Seller. You say we have 180 days to find a buyer? That seems like a long time for a seller to agree to tie up their home to you. Especially if they are needing to sell fast. Hi Todd – you’re right, it is a much longer time than most sellers would be accustomed to. That’s why it’s important to clearly communicate what your intentions are. Explain that you’ll need this length of time in order to have an ample chance to find a buyer. If it really is a good deal, chances are you’ll be able to sell it much sooner… but rather than having to go back and forth signing extensions, signing one agreement with a term of 180 days is a cleaner way to do it (assuming they’ll agree to that amount of time in the first place). And yes, one way to get out of the contract would be to simply let the agreement expire. Ok, that makes sense to just afford yourself the time upfront. Thanks again, much appreciate it! Great information! What happens if the third party (the end buyer) tries to go directly to the seller to buy the property? What’s to spot him from going behind your back and going straight to the seller to buy the property? Thank you again for a very good explanation of this topic! …not to mention, you have a signed purchase contract with that seller, so you may also have some recourse against them if they pulled the rug out from under you and went with another buyer behind your back. Ok I understand. The contract is what I can fall back on if that does happen. Perhaps you can check into this for me? Im a beginner in Real Estate and these tips helped me out sooo much that im a ctually working on a potential deal. But, No one really talks about how to close the deal, what guidelines should i stay in. I dont wanna talk to much and lose a deal! Any advice??? Hi Tiffany – thanks! Glad you found it helpful. The closing process can be a little intimidating your first time through, but if you’re working with a good title company or closing attorney, they should be able to make it pretty seamless for you. Should we (assigners) only accept cashier’s checks to protect ourselves ? I would think you could accept the funds in any way – as long as you can verify that the funds have/will clear your checking account (and a cashier’s check would be a fairly solid way to do that). Hello this information was very helpful. Very detailed and straight to the point. I’m currently a Realestate agent who has came across a potential flip. My investor is looking to do a rehab loan. Is there any way I can middle man a deal to someone financing? if you have anything to wholesale in South Florida, I would buy it. Hi Seth are these templates usable in all states? What if I make the contract, the seller signs it, I sign it, and a month transpires and I change my mind and what to cancel the contract (without finding a buyer to assign the contract to), is this possible and legal? IE you can not say you will find a buyer (ever). You ARE the buyer, but the contract is assignable. Thanks for sharing this Curt! When you bought low and sold high or when you did assignments did you go to the actual properties? Some of these deals I may have will be in another state and I was wondering if I have to be there to show the property and be present when closing the deal? This was a great help to me ! It’s helping me understand assignment agreement and the process ! Awesome! Glad to hear it Paris! Novice here! Thanks for the amazing instructions. Just one question. I have an option on a seller’s property at $45K and he has signed the TREC contract and the assignment contract. Hi Ryder – forgive me for not knowing, but what do you mean by a “TREC contract”? Hi Laura – in my experience, as long as the original Purchase Agreement has an Assignment clause in it (which gives the buyer permission to assign the contract), the only other form you’ll have to complete (with the end buyer) is the Assignment Agreement (which should state whatever fee the wholesaler is being paid). You would then give both documents to the title company so they can handle the closing… but as far as I know, there shouldn’t be any need for a second PA.
if i pay the 97$, do i get the templates with that? That’s correct Brian (and if you sign up for the email list, you can get a $30 discount code – don’t forget to do that)! Thank you for all the information you provided. I am interested in subscribing and getting the templates. I do however have a question. I live in Florida and will be looking to do the majority of my business in Florida. Are these templates usable in Florida. With laws ever changing and the verbiage needing to be precise. I wanted to know before I purchase. Hi Jason, that’s a great question. Since I’m not a lawyer and I don’t do a ton of business in Florida, the “proper answer” is that you’ll want to run these by a Florida attorney to verify that everything is up to par with your state’s laws. I wish I could give you more of an iron-clad guarantee before you buy – but that’s best I can do. However you decide to proceed, I wish you all the best! In the graphic section above, you call the deposit NONREFUNDABLE. Then you charge the reader to make sure not to touch the deposit, in case the deposit must be refunded. ?? Hi Rett – I’m not sure I understand your question… can rephrase that? Is the deposit supposed to be NON-REFUNDABLE? Earlier in the article you call it “NON-REFUNDABLE”, but then later on in the article you advise not to touch the deposit in case it has to be refunded. Which one is it? Good question – thanks for helping to clarify this. I can see where the confusion is coming from. The “non-refundable vs. refundable” issue comes down to each party fulfilling their respective ends of the purchase agreement. If the “outside investor” (i.e. – third party buyer) fails to perform their end, then they’re basically forfeiting their deposit (it’s non-refundable). However, if the original seller (or you, as the wholesaler) fail to perform their end, then they should be ready to give the deposit back… because the deal is basically falling apart, and it’s no fault of the third party buyer who put down their deposit. Does that make sense? I’ll try to clarify this in the article above. Hi Travis – I would say that’s important, yes (either that, or giving the buyer the option to cancel the transaction at any time, for any reason). I always give myself the ability to get out of the deal if needed, so yes – that’s included in my template. I don’t provide proof of funds to sign a purchase agreement, but that may be something that some people would require. Hey seth, thanks for the response. In one of your articles where you explain how to sort through the delinquent tax list, you mention that we should eliminate owner occupied properties by matching the mailing address to the property address. I just got my delinquent tax list today, but unfortunately, it doesnt include the mailing addresses or the market value. Was wondering if you may have any advice on how to get around this? This is part of why it’s important to be VERY clear in your request, that you need to have the mailing addresses of every owner (because without this information, the list is basically useless for your purposes). Thanks again seth, these tips are perfect. i have one more question for you. how do i go about estimating the repair costs? As i mentioned, i’m very new to this industry and i’m not quite sure i’d feel comfortable trying to do it myself, so should i get a contractor/inspector? and if so, does the potential seller incur that cost or would i (being the initial buyer), or would it just be a matter of negotiation? Of course, the only reason to do this is because you already have your cash buyer ready to fund & close the deals on demand. I have all cash buyers & know exactly what they are looking for, my only question is the earnest monies necessary? Also, does it have to be $5k? Could it be for $1k? Hi Saqqara – thanks for the question! My understanding is that in most states, an earnest deposit is necessary in order to make the contract legally binding. As soon as money has changed hands, then the courts will take the agreement much more seriously. How do you determine your assignment fee? You stated how you determine your assignment deposit but how do I determine what I’ll be making off the deal in total after it closes? Hi Larry, there are different thoughts on this – some people follow a similar logic to real estate agents (6% of the purchase price), others will make the fee as high as they can, while still making it a good deal for the end buyer, and others will make it a flat fee – regardless of what the numbers are. I don’t think there’s any hard and fast rule you need to follow – as long as you’re still delivering a good value to everyone in the transaction. Thanks Reuben! I’m glad you’ve gotten some good value out of it. Yes it does and thank you for the fast response. However, I brewed up another question in my mind awaiting your response. Now, it’s very likely that in the time between getting the purchase agreement signed and closing, the seller continued to not pay taxes and/or his mortgage and/or his sewer and water, etc. Is it as simple as creating a separate clause in the contract stating that any additional back payments accrued during the closing process will be paid by the buyer, as well? Sure thing – it sounds to me like that would work. Does your wholesale package kit works for single, duplex, commercials too? Let me know, I’m thinking about getting your wholesale package. Hi Amanda – good question, thanks for asking! I use my contracts primarily for vacant land transactions. I have used them for houses before, and I think it can work for a lot of other property types too, but since vacant land is a pretty simple type of property, there may be some things that aren’t included that you’d still want to see (things you don’t technically “need”, but would still be a good idea to have in your original contract). I think the paperwork could probably work… but it might not be the perfect template to use if you’re apply it to several different property types. Thanks so much for all your in depth information. Between you and the Land Academy I now feel ready to move forward in this new business. Am very excited ( a bit nervous ) and very grateful to you for the very good work you’ve done here to help newbies like me. You’re welcome Brian – and best of luck as you’re getting started! You can do it! Seth, you mention that wholesaling undeveloped properties requires the buyer to pay cash because of difficulties of dealing with mortgage lenders. But if a seller is having a difficult time selling their property and are demanding a certain price, why not discuss with them the possibility of them offering seller financing to the buyer? It would make it easier to move the property. Is there a reason to avoid this? Would we just use the Seller Financing forms and procedures in addition to the purchase agreement and assignment contract? Hi Brian – definitely! Seller financing would absolutely make it easier to move the property… IF the seller is willing to sign up for this. If you think it would help, feel free to introduce that concept to either party… I’ve just found that many sellers aren’t interested in going for this, as it requires them to form an ongoing relationship with the borrower – whereas most sellers aren’t in the business of offering financing (like a full-blown land investor is), they’d rather just wash their hands of it. Thanks so much for your reply. I understand exactly what you’re saying. On a different note: Just to be clear – on smaller deals where I do the contracts and what not for a cash purchase I would pay Title insurance and whatever County recording fees, do I need an escrow service or Title company for anything? As I understand things I don’t, but just wanted certainty as I’m new to this. Thanks in advance and for all your excellent training and forms. BTW I’m in California. Hi Brian – I typically use a title company when the value of the property exceeds $10K, and I’m at least ordering title insurance when the value exceeds $5K. Otherwise, if it’s a small deal, I’m usually willing to close it in-house (assuming I have the time and resources to do so). I understand. But just to be clear, in those instances where I close it myself (say under $5000) I would pay for a Title search (optional, but seems a good idea) and county recording fees (nominal, as I understand) ,but apart from that there wouldn’t be any additional closing fees and the deal can be run with just a seller, myself and a notary? Just want to make sure I don’t need to budget additional costs for smaller deals. Sure Brian – I think that would work. I am a member of CTREIA in Connecticut and just getting started in wholesaling and assigning contracts. I just saw a program that is not like yours for 13 times more expensive. I just invested a lot of money in other programs, but wish I had known about yours sooner. I will visit your site again when I have the money to purchase. I am 76 years young and starting a new business with my wife. I will contact you soon. whats the difference between escrow and bringing the contract to the title company? I have one question. May seem very small, but I am new to wholesaling… what is the point of the deposit from the end buyer, if your assignment fee will be available to you at closing? Is this deposit your talking about the same as assignment fee, or are these two different things for two different purposes? When it comes time for closing, whatever else is still owed for the purchase price and assignment fee will be due at that time, and once this remainder is paid to the title company, the title company will make sure the deal is closed correctly and then disperse what is owed to both the seller and the assignee (i.e. – YOU) at that point. That is clear, thank you. I just thought the end buyer would assume I’m asking for additional funds on top of what I would expect for an assignment fee and decline the deposit…assuming I’m being greedy… but yes, I get it. It is clear… One more question if you don’t mind… What is your opinion on; Is it important to establish a business name (for website and business card) and business logo and get it protected before starting wholesaling as a beginner? What do we write after “by wire transfer to….”? Is it the name of our bank? Or our ABA and Bank Account number? Hi Zahid – in that blank, you would specify your bank name and account number (so it’s totally clear where the money should end up). If you’re planning to accept a wire from them, you’d want to make sure they also have all the information they need in order to wire the funds to you. 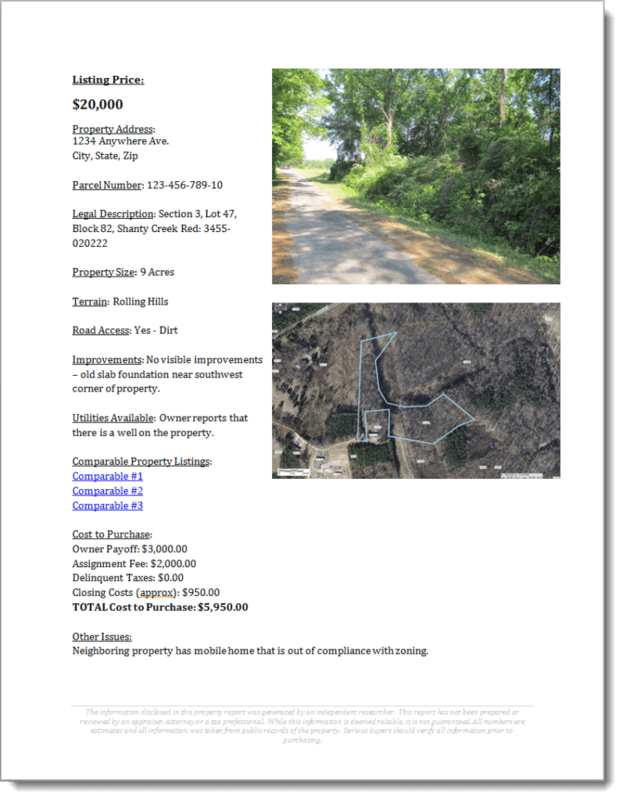 Do you use a title company when you buy/sell land? Thanks for stopping by, reading and commenting Lee. I’m glad to hear you got some good help out of this! Hey Seth! As always, thanks for the awesome, informative post. By any chance, have you completed any of these assignments in-house? The reason I ask, is because I’m looking at a possible international assignment, combining a traditional assignment contract (for the US based seller) and a blockchain based smart contract (for the international end buyer, using double-deposit escrow). It’s for a vacant lot. Thinking that the title company or escrow office probably might not be up for this type of thing. However, I did recently closed a different one in-house w/smart contract…as a traditional all-cash flip deal. Any thoughts on acting as “escrow” between the end buyer and the seller for an assignment? Hey Matt! Yes, I have done this kind of thing in-house before, but honestly, it’s a big logistical challenge (even for a simple deal, with cash, where everyone was in the same county). It requires a bit of “trust” on everyone’s part, which isn’t necessarily the best way to run a real estate closing, and it’s a lot more stress than I like to deal with – so even though it’s possible, I don’t typically recommend this. All this to say, it can probably be done – but not without its challenges (and I have no real input on the international thing… because that’s not something I’ve ever dealt with). Sorry I can’t be of more help here! Best of luck to you. Hi seth, thanks so much for the informations! i got one specific questions about the fact that i live in quebec and would like to know if we really have to pass by a notary or a friendly title company …? Incredibly well written article. Hugely helpful for all of us trying to get in the game! My question was more logistical, how do you get a refund from the earnest money deposit you provided to the seller? Typically, does the assignment buyer refund you or how does that work? Hi Javier – thanks! If the seller failed to perform their responsibilities in the purchase agreement, it’s up to them (or their title company) to refund that deposit to the buyer who put the money down. This is part of why a title/escrow agent can be so helpful because they’re a third party that will make sure both parties get what’s coming to them. Seth, I want to thank you for the best and most comprehensive guide on wholesaling I’ve read so far. Great help! Thanks so much!! Awesome! So glad to hear it! Thanks for reading Stina.